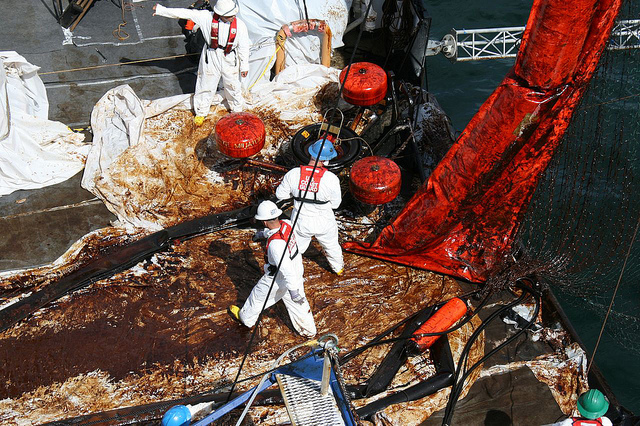 Regardless of how lousy they make the organization look, the Coast Guard’s failures have much to teach us about how to better prepare for oil disasters. It’s not just BP that’s trying to brush their mistakes from the oil spill under the rug. Soon after publishing a piece on BP’s greenwashing of its first post-Deepwater Horizon CSR report, Fast Company received a tip from a reader about the Coast Guard’s recently released Incident Specific Preparedness Review (PDF)–a mammoth report from a group of NGOs, members of the oil industry, and government officials that details just how badly the Coast Guard screwed up the Gulf disaster (and, incidentally, unlike other reports of its nature, wasn’t publicized, although it is readily available on the Coast Guard’s website if you dig around for it). Regardless of how lousy the report makes the organization look, the Coast Guard’s failures have much to teach us about how to better prepare for oil disasters. Below, our main takeaways. According to the report, the Gulf Coast Guard did not take into account worst-case scenarios involving offshore oil exploration activities, resulting in a major lack of preparedness. In the future, then, the Coast Guard would be wise to ramp up its contingency planning–specifically, the prioritization of environmentally and economically important areas (i.e. fishing hotspots in the Gulf), containment strategies, offshore control and removal strategies, and the identification useful equipment and trained personnel. Throughout the months-long spill, the Coast Guard provided contradictory estimates of how fast oil was gushing out of the leaking well. The report claims that “While the ISPR Team found no evidence that anyone was intentionally trying to underestimate the flow rate, there is no doubt that the ever-changing flow rate estimates had an impact on the public’s perception of the response.” One solution for next time: draft an outside scientific group to help with flow rate estimates. The Coast Guard and BP were liberal with their use of undersea dispersants, which spread oil particles out across the ocean. Problem is, there was no scientific information available to help the organizations gauge the toxicity of using more than one million gallons of dispersant at once (though the dispersants were helpful in keeping oil from the shore). This means that the Coast Guard needs to do more environmental impact testing, employ a sampling and monitoring program for undersea dispersants, and educate both the public and government officials on the findings. The scale of the BP disaster overwhelmed the Coast Guard, leading to low resource availability (i.e., a shortage of oil-soaking booms and oil-skimming equipment). The solution: the Coast Guard needs to increase resource stockpiles, work to increase funding for national oil spill response research, and create a database listing response resources available nationwide.